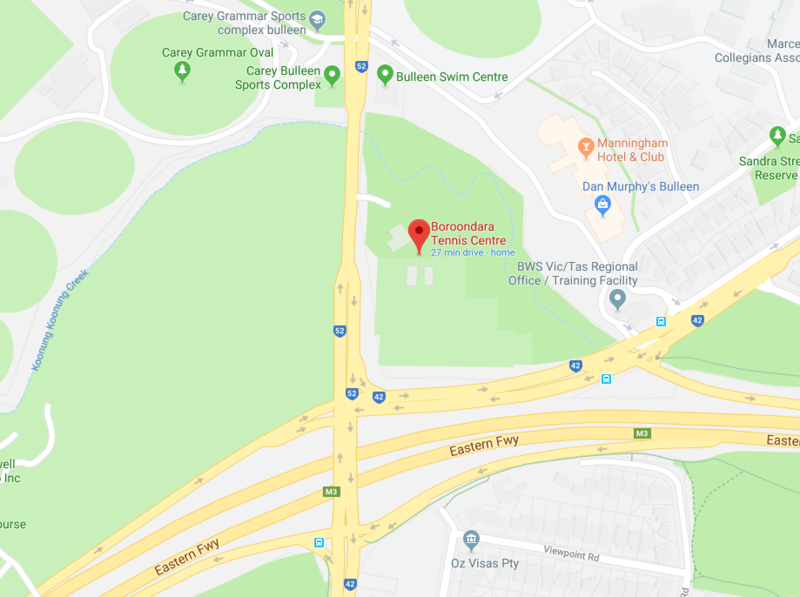 For those of you who don’t want the commitment of a team competition for their social tennis, the Boroondara Tennis Centre runs an in-house social round robin on a Friday morning, almost every week of the year. So if you wake up and feel like a game, just turn up at the Centre by around 9.00 am, sign in, and start playing around 9.30 am for the morning. The cost to play for the morning is $15, which usually includes about 2 hours of tennis. Ideally there are 2 sections each week, section 1 is stronger and section 2 more social, but if there aren’t enough players for 2 sections, everyone mixes in for the morning’s tennis. Both men and women play in the round-robin, with the regular players and the Centre welcoming new recruits at any time of the year. A coffee is included in the cost, and a lunch organised by the players is held on the first Friday of every month. So if you’re looking for a ‘no commitment’, relaxed game of social tennis, just turn up at the Boroondara Tennis Centre on a Friday morning!